In 2007, another severe urban waste management crisis occurred in Campania. Due to the managerial incapability of the Commissioner to the Emergency (operational since 1994) and of FIBE - Impregilo (the private firm to which the contract for the management was granted), the landfills available in the region were gradually saturated and waste was once again piling up in the streets of Napoli and elsewhere in the region, causing health risks and protests. 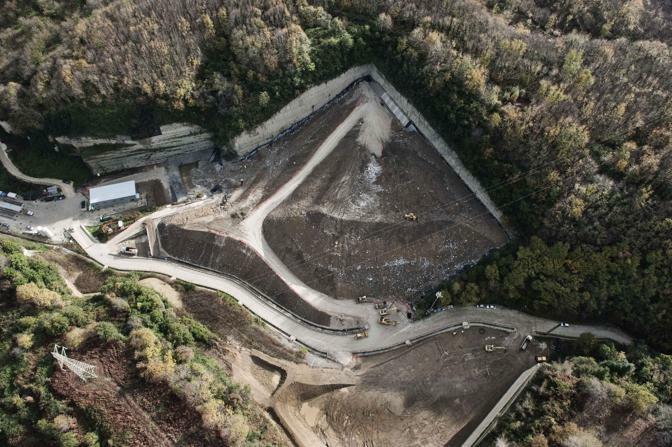 The government of Prime minister Prodi appointed a new Commissioner and identified new areas to use as landfills, including a disused tuff quarry in the Neapolitan district of Chiaiano, bordering the town of Marano. On May 28th 2008, the newly-installed Berlusconi government held its first Council of Ministers in Naples and it approved a decree (the no. 90 of May 23rd 2008, converted into Law no. 123 of July 14th 2008). 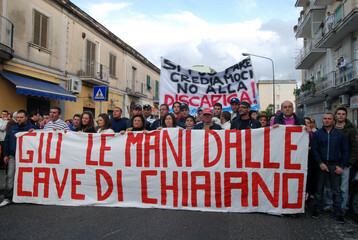 The decree confirmed the choice of Chiaiano, identified other ten sites for opening new landfills (declaring them areas of national strategic interest of military competence), introduced tougher penalties for those who opposed to the management plans of the government and attributed to a special attorney the exclusive jurisdiction for the purpose of environmental crimes committed throughout the territory of Campania. The area to be used as landfill according to the decree, was Cava del Poligono, an abandoned quarry in the Selva di Chiaiano, which falls within the Metropolitan Park of the Hills of Naples. The park, established in 2003 on an area of 2215 hectares, is the largest environmental protected reserve within the city and it is aimed at the enhancement of local historical heritage and peri-urban agriculture revaluation. 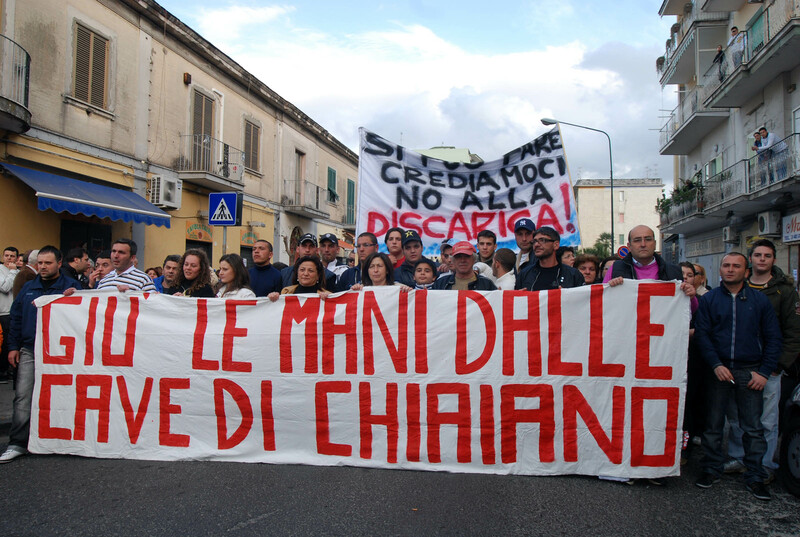 Back in 2001, the project of disposing organic waste in the quarry had already collided with a strong protest in Chiaiano; during that protest was born the committee at the core of the subsequent protests. 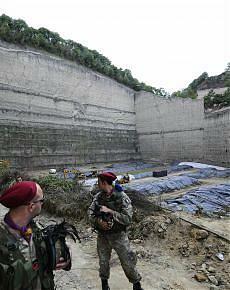 The news of the decision of a new landfill triggered the immediate mobilization of citizens. A permanent garrison at the Rotonda Titanic was created by the local committee and the Community Center Insurgencia, located on the road leading to the quarry, became the headquarter for the self-organization of activists and the symbol of the protest in the months and years to follow. According to the project of the Commissioner, the reservoir of Chiaiano would accommodate 700,000 tons of waste for a period of three years. The committee of citizens, supported by local administrators, opposed the project on the basis of the high agricultural and landscape value of the area. Both would be jeopardized by the presence of waste, threatening an important aquifer under the quarry, and by the high number of compactors transiting thereby to transport the waste. Moreover, according to the decree, in the landfill even hazardous waste was allowed, including ashes from waste incineration. The activists have defended the reasons of health, clarifying that in a radius of three kilometers from the landfill inhabit over 200,000 people and three hospitals with health centers of regional and national level insist in the area. The entire waste management plan imposed by the Commissioner has been criticized at the base, exposing the ineffectiveness and the profit-oriented rationale of a plan based on landfills and incineration. 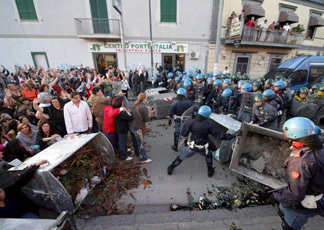 In the spring of 2008, blockades and demonstrations were happening every day. In the night between the 23rd and 24th of May, police repression was particularly violent, with many injured among the demonstrators. Negotiations between the government and the committees had reached a dead end after the visit to the landfill of experts of both side. Indeed, the experts of the committees rejected the project of a landfill on the basis of hydro-geological surveys, chemical and engineering feasibility, but the Commissioner decided to proceed anyway. Further demonstrations and protests were curbed by the government with more police force. Some activists were arrested, the resistance was smashed through violent repression, and the landfill was opened, after 14 months of clashes. The landfill has worked for three years. In 2011, the judiciary closed it for the numerous irregularities detected. In March 2014, the investigation of the Anti-Mafia Department on the landfill ended with 17 arrests, including the managers of the company for the construction and the management of the site. Some members of the Testing Commission were arrested, because they favored companies linked to the Camorra and they carried out the work without respecting the criteria for environmental safety, a risk feared by the citizens’ associations since the announcement of the landfill. Today there are talks about Chiaiano as the site for the opening of a new landfill of 800,000 t in another quarry, Cava Zara. The regional environmental movement, however, grew up in a coalition of social movements, who announced opposition. 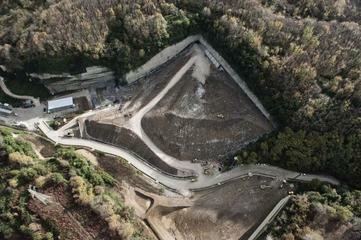 Project Details The decision to open a landfill in the quarry of the Poligono della Selva of Chiaiano was formalized in Decree n. 90 of May 23rd 2008, converted into Law no. 123 of July 14th 2008. This decree by the Berlusconi government placed the Commissioner to the Emergency in close cooperation with the Prime Minister and entrusted the role of the Chief Commissioner to the Civil Protection Head office Guido Bertolaso. The decree authorized, in addition to the transfer of municipal waste, hazardous waste materials marked with codes CER 19:01:11 (ash and slag containing dangerous substances), 19:01:13 (fly ash and slag containing dangerous substances), 19:02:05 (sludge from chemical and physical treatments containing dangerous substances), 19:12:11 (other wastes containing dangerous substances). The framework of the emergency had also enabled to design and build the landfill outside of environmental impact assessments, and landscape and hydrogeological safety standards. In June 2008, the Environmental Division of the Naples City Council, along with some municipalities surrounding the landfill, submitted an appeal to the administrative tribunal of Lazio and a complaint to the attorney to the waste emergency, in which they declared the unsuitability of the quarry of Chiaiano for the asymmetric position of the site and for its proximity to hospitals and homes. A year later, came the judgment that rejected them both. During the same period, meetings were held between Commissioner Bertolaso, the citizenry, the municipal authorities and the technicians expressed by local committees. According to the findings of the committees’ experts, the quarry is not eligible to dispose hundreds of thousands of tons waste. A few months later, also was issued the water analysis of the site conducted by ARPAC (Campania Regional Environmental Protection Agency), which showed the presence of fluoride, arsenic and antimony. These figures, according to the committees, support the theory of the technical part concerning the permeability of the soil of the quarry and made evident the need for remediation of the area. Development of Alternatives Since the beginning of the mobilization, citizens’ committees of Chiaiano, Marano and Mugnano, have specified that their struggle was not only against the landfill bound to arise in the quarries of Parco delle Colline, but against the entire waste management model focused on landfills and incinerators, and imposed from above in an authoritarian manner. The alternatives proposed by local committees are in line with European legislation on waste, formally transposed into Italian regulation. The committees have proposed measures that would reduce waste production (principally by reducing it upstream). In addition, proposals have been drawn up for an integrated waste cycle that is based on a sorted waste collection door-to-door, on the composting of the organic fraction and on the use of alternative technologies to incineration for the remaining part (as the Mechanical biological Treatment, the molecular dissociator and the system THOR). The committees have embraced (as indeed all the environmental movements of the region) the Zero Waste strategy as a guide for the correct approach to the problem of waste. This approach involves, in addition to reducing, reusing and recycling, the involvement of the industrial sector for the prevention of waste, the eco-design of products and the extended producer responsibility. Why? Explain briefly. The massive use of police by the government imposed the opening of the landfill. However, the reasons of the committees have been confirmed by investigations of the judiciary, and the landfill was closed. The mobilization has also affected the level of organization and social cooperation that today is reflected both in other struggles for health and environment, and in a variety of local initiatives aimed to improve the livability of places.